Have you ever thought about writing a book? Maybe you were reading a book and thought to yourself, I could have written something better than this! Writing a book can be a LOT of work, but it will yield tremendous benefits for you. Over the past few years I’ve published several books, and I’m always amazed at how much each has benefited me in both my business and personal life. From new opportunities to new partnerships, each book has opened additional doors; and will likely do the same for you. Being a published author immediately positions you as an expert in whatever subject matter you write about. People tend to naturally believe that if you’ve published a book, then you must be an expert in the field. Jim Rohn‘s mentor used to tell him, “You should have a goal to become a millionaire, not for the money, but for the person that you’ll become during the journey.” The same goes for writing a book. The process of writing a book is such a powerful learning experience. You’ll learn more about: the subject/topic, how to effectively communicate, and discipline; after all, those words don’t just magically appear on paper. A book is a powerful marketing tool. Not only will it position you as the expert, but it will open new doors and serve as a lead in product. This is why many published authors develop more in depth products that compliment their book. Publishing a book gives you a tremendous platform from which to share your message with the world. Your book will not only position you as an expert, but it will give you a platform to communicate with your tribe. Never before in the history of the world has it been easier to write and publish your own book. The most difficult part is the discipline required to get started. 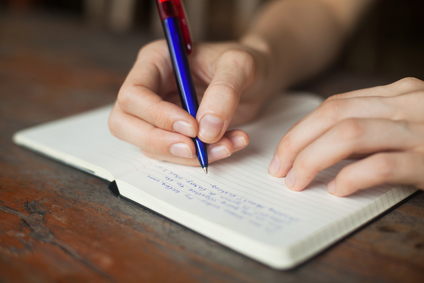 Once you develop the habit of writing, everything else seems to fall into place. I recommend starting small. Start by writing 350 words per day. Once you’ve developed the habit of 350 words per day then increase it to 750, and before you know it you’ll have written your first book.